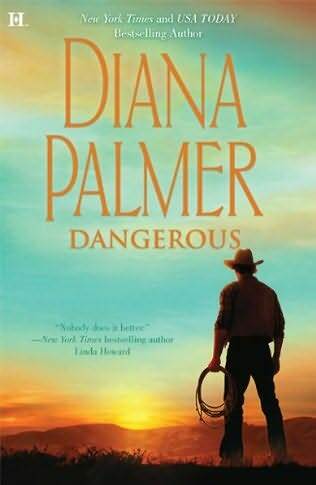 Dangerous is the 48th book in the Long Tall Texans series by Diana Palmer and an HQN novel. Winnie has had her own share of sorrow and senses Kilraven's pain. Even though she tries to deny it, the gentle 911 operator feels a connection with the darkly handsome agent. When he makes the disturbing discovery that her family's unsavory past might have a bearing on his case, Winnie is determined to help him crack it...and the ice around his heart. McKuen Kilraven was devastated 7 years ago when he brutally lost his daughter. Adding to that pain is the fact that the crime was never solved. Now a string of unsolved murders has Kilraven wondering if they have been committed by the same person - and he wants the investigation re-opened. Winnie Sinclair is a 911 operator and she loves her job. Every now and again she gets these 'feelings' - like maybe she needs to send backup when backup has not been requested. On more than one occasion these 'feelings' have saved lives - Kilraven's being one of them. So when Kilraven's investigation leads him to a member of Winnie's family - she is more than willing to help him solve this crime - even if it means putting herself in danger. I enjoyed Dangerous very much. Though this can be read as a stand alone novel - Dangerous is part of a series - and so it mentions characters from previous stories. I did not have any trouble keeping the characters straight - and I feel that established fans of Ms. Palmer - and those like me who are new to the series - will not be disappointed with this latest installment . ..wow..that is a lot of books! Found you via Hop Michelle! Fantastic Review! Thanx for stopping mine blog!